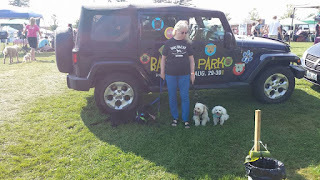 Denny, Dexter, Hugo, Rob and I spent a day in September 2015 at the Bark in the Park Pet Festival in Bowmanville! 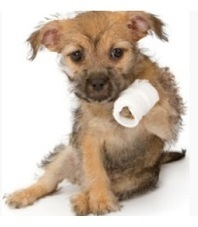 "BARK in the PARK Bowmanville is a fun, family friendly event where YOUR DOG is the star! We promote responsible pet parenting and would like to provide an amazing avenue to bring dogs, the people who love them and Durham Region businesses together in one place to celebrate our four legged companions while enjoying 2 full days of contests, demos, agility playground, swag bags, splash pools, interactive games, photo ops, food, toys, face painting, pony rides for the hooman kiddies, music, a wedding on Sunday, FREE giveaways, shopping, and so much more we can't fit it all in here." We plan to have a table at next year's event - see you there!